Decorating for special events can get burdensome and costly, unless you make a centerpiece that serves a purpose and uses basic items found at home, such as an edible fruit tree centerpiece. Guest can munch on the fruit for an appetizer or snack while visiting and waiting for the main course, after they have admired your handiwork. You can be creative with the type of fruit you wish to use, although it is best to stay away from bananas and other soft fruits that will turn brown and not stay as fresh. 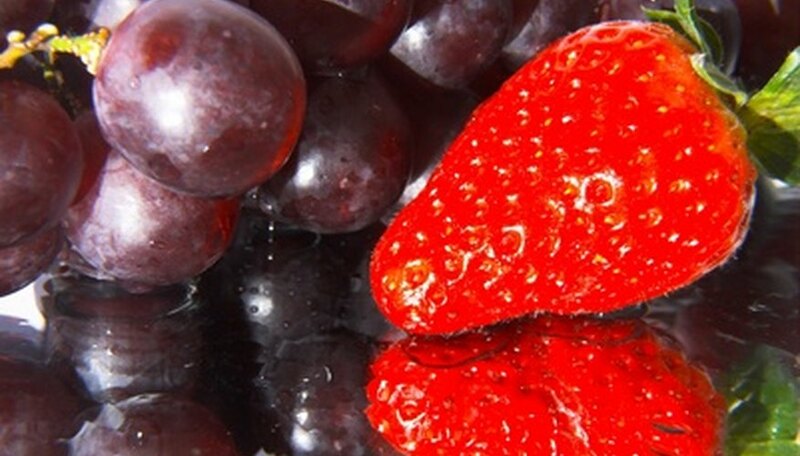 Select various types of fruit such as strawberries, grapes--both red and green, cantaloupe, honeydew and pineapple. Wash the strawberries and grapes, rinsing and drying well. Cut the melons and pineapples into 1-inch chunks and brush with lemon juice to keep fresh. Cover a 10- or 12-inch foam cone with wax paper. Wrap the paper around the cone and secure with toothpicks pushed through the wax paper into the cone. Attach the fruit to the cone using toothpicks pushed into the ends of the fruit. Push the other end of the toothpick into the cone. Alternate the fruit as you put it on the cone to make a design or group all of one kind of fruit together or sort by color. Place the finished cone on a cake plate. Make several and place different size plates, some footed, some not. Store the finished fruit centerpieces in the refrigerator if necessary before the guests arrive. Do not cut the fruit more than an hour before serving to keep fresh.